Here are some facts about Persian Empire Geography. The Persian Empire in the time of Darius I extended to the African areas of Egypt and Libya to the south and west, Macedon and Thrace to the North and west, and to the Indus River in the East. Cyrus was a politician as well as a conqueror. He presents himself as the liberator of Babylon, releasing the people from the yoke of an unpopular king, and he is received as such. Cyrus makes a point of respecting the Babylonian religion. He allows the Jews to return from their Babylonian captivity to Jerusalem and encourages the rebuilding of their Temple. 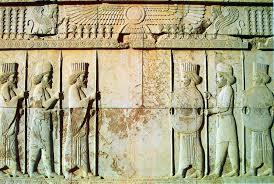 The first centralized state in Persia was founded by Achaemenes, chieftain of the Persians at around 700 BC. They slowly conquered Medes (western Turkey), Babylon, Egypt, and failed in several attempts to conquer Greece. This ancient empire saw Persian control at its greatest extent ever, and in many ways, everything went downhill for Persia from here. 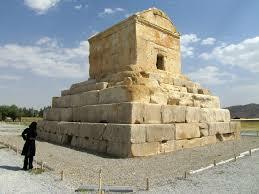 The empire continued to expand under Cyrus the Great’s son, Cambyses (530-522 B.C.E. ), who conquered Egypt, and his distant cousin, Darius I (522-486), who led his armies as far as the Indus valley in the east and Greece in the west. All boundaries and borders of countries are approximate. The territory controlled by a king or people varied from time to time and was often disputed by other peoples. Even the coast-line has varied over the years, particularly in the Gulf of Persia. An approximation to the modern coast-line is generally used in the maps. The Achaemenid Empire was destroyed by Alexander and was reformed as his Hellenistic Empire. 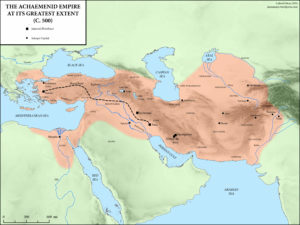 Upon Alexander’s death, the empire fractured, and the Macedonian Seleucid Empire ruled Persia for a century or so until a northern tribe emerged as the rulers of a loose confederacy we call the Partian Empire. Emerging in about 200 B.C., this dynasty held loose control over Persia proper for most of it’s ruled and spent most of its resources keeping regular Roman invasions at bay. Darius was stopped by the Greeks famously after the Battle of Marathon in 490, but his legacy is concerned more with the brilliance of his skills as an administrator of an empire. He organized the empire into a series of regional governments, or satrapies, ruled by men loyal to the emperor alone, responsible for collecting taxes and organizing local militias. Darius also created public works – irrigation, canals, and public buildings and built good roads for the improved communication and trade between parts of the empire. He created one single currency and a postal system, and standardized weights and measurements to be used throughout the empire. Darius also built a new capital, on plans laid down by his predecessor, Cyrus, at Persepolis, one of the largest collections of palaces and buildings the world had ever seen.